Have you heard the story about the middle school teacher and her fake Facebook page? It led to a campaign called #ICANHELP (Delete Negativity on Social Media). It all started in 2013 at a California middle school. In an attempt to make fun of a teacher, a student created a fake Facebook page. It contained negative posts about the teacher: posts that other students could share and circulate across Facebook and other online platforms. This started a chain reaction of negativity. Not only did it directly affect the teacher, but it also affected how students perceived what was okay to post on social media. Soon after the fake Facebook page was created, students started posting negative comments on the page. Something happened later in the school year that helped revolutionize the way the Excelslor Middle School thought about social media. One of the Excelslor Middle School students knew something needed to be done. The harassment, the bullying, and the drama that takes place on social media happens often and the school needed a solution. The solution? Create an outlet to fight negativity with positivity. After all, no one likes to be made fun of, and no one wants to feel alone. Coincidentally, if a small group of people create a page on social media spreading hateful messages, the school’s online community could create kindness and provide a safer environment through positive messages! Eventually, this produced a campaign called #ICANHELP Delete Negativity Online. The people who represent #ICANHELP have one clear message: make a difference by deleting negativity online and replacing it with positivity. They call themselves positive warriors. How Does #ICANHELP Do This? Surely, we’ve all been in situations where we feel helpless about something online. 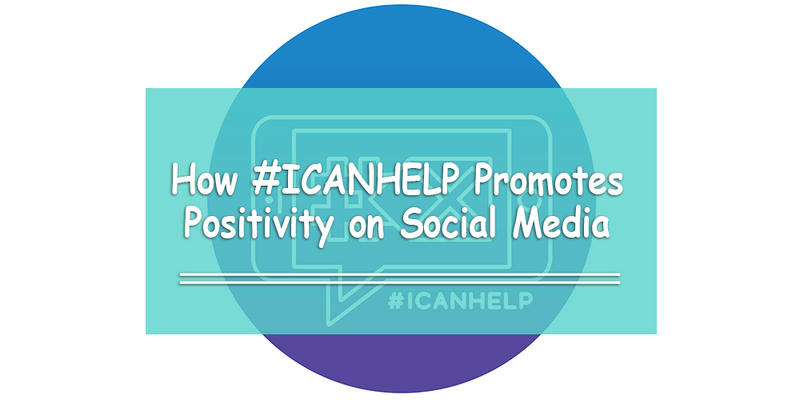 The #ICANHELP project helps remove student-reported harassment/cyberbullying pages from the web. They also hold assemblies and give presentations that give students the skills on how to be digital leaders in their schools and in their online communities. With social media dominating our world, both teachers and students know that it is a lot easier for bullying to take place online. Cyberbullies might think they can get away with it because it takes place outside of school grounds. That is why we simply cannot ignore what happens online anymore. Let’s follow in the footsteps of #ICANHELP (and the schools they’ve helped) and focus on what we can do together. Encourage teachers and students to take action and make a difference. Stand up for people online and spread this positive message. If you know a school in the UAE who you think could benefit from services like #ICANHELP, Online Sense provides something very similar for you. Contact us if you’d like to help make a difference!